Pam & I decided to take a road trip since everyone else was going on the ’59 Road Shop Hop but us. 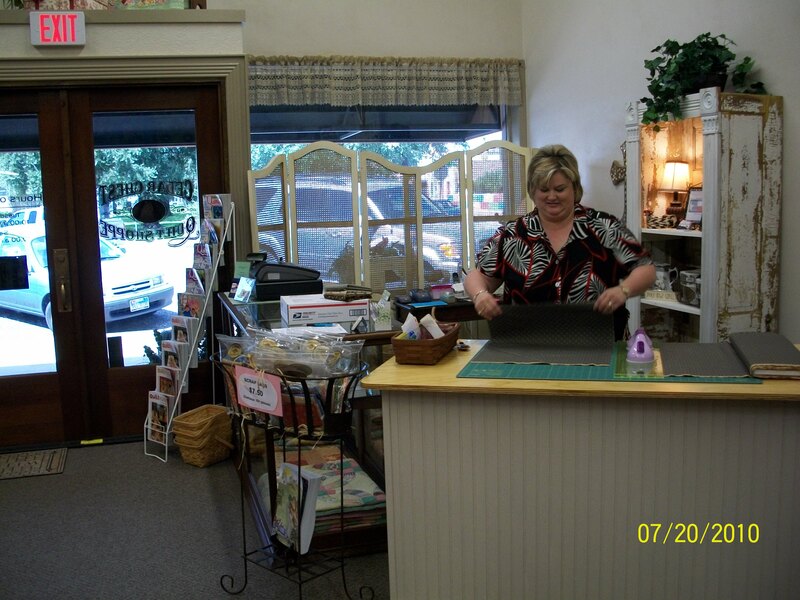 We had heard so much about the Cedar Chest Shoppe in El Campo that we wanted to see what everyone was talking about. So, we found someone to work for us and off we went. Well, let me tell you, it was worth the trip. The shop is so cute & has a great place to eat next door. I tell you it does not get any better than pretty fabric & good food close together. We found both. 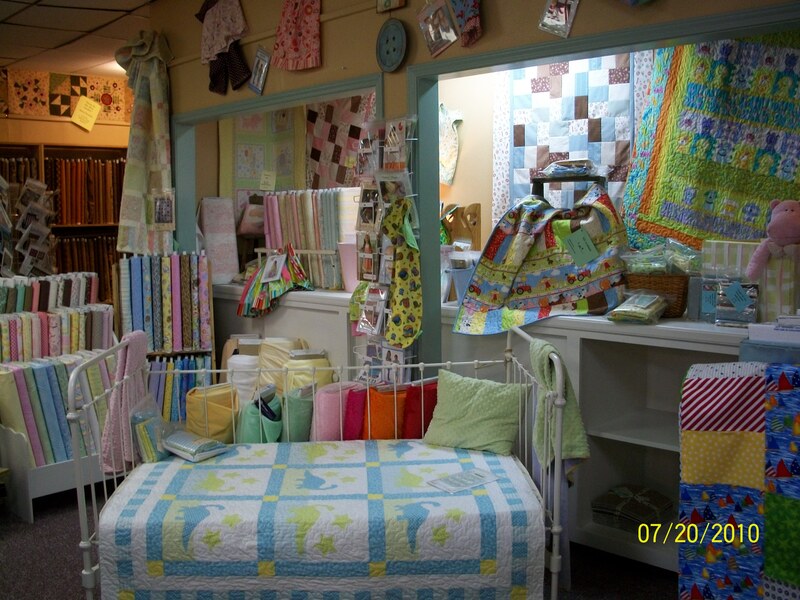 We had already been to the Quilter’s Patch in Victoria so we know how great that shop is. Well, after we ate at the place next door, Pam said, “Well, we are this close, we might as well go to Victoria”. I said,”Go for it!”, so off we went. We had a nice drive to Victoria, everyone at Quilter’s Patch is getting ready for the shop hop. Here is a picture of their baby display. Until next time, y’all have fun on the shop hop and drive safely! ← Inspiration Day at Quilter’s Emporium! Glad you liked the Cedar Chest and J-Brew Cafe right next door. It’s a great place to eat! Greek Bros is a couple doors further down and Firehouse Grill is across the street in the opposite direction.